UPDATED: Mon., July 31, 2017, 5:54 p.m. 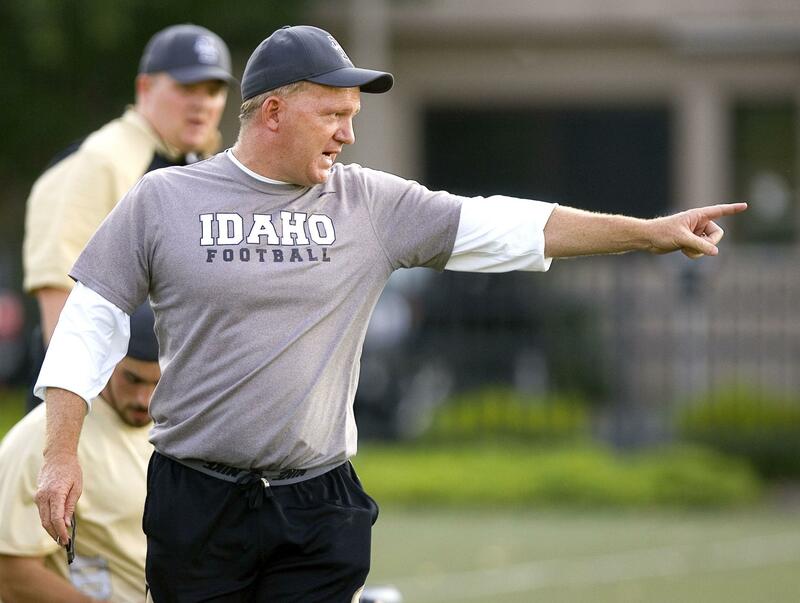 The Idaho Vandals will plunge into their final FBS campaign Tuesday night when they open fall camp at 6 p.m. on the SprinTurf practice field. Idaho, which enters year No. 5 of the Paul Petrino era, will also practice outdoors Wednesday, Thursday and Friday. All workouts are slated to start at 6. The Vandals will play out one final season as a member of college football’s top tier before dropping down to the Football Championship Series, and the ranks of the Big Sky Conference, in 2018. UI opens the regular season with an Aug. 31 home date against FCS Sacramento State. Coming off a season that saw them roll to a 9-4 record and a dominant 61-50 win at the Famous Idaho Potato Bowl, the Vandals figure to have another productive year on offense with the return of fourth-year starting quarterback Matt Linehan (3,184 yards in 2016) and junior running back Isaiah Saunders (nine TDs). On defense, Idaho brings back Sun Belt Newcomer of the Year Aikeem Coleman (eight sacks) and junior linebacker Kaden Elliss (65 tackles, five interceptions). The Vandals were recently picked to finish sixth in the Sun Belt Conference media poll. Idaho went 6-2 in league play last season – enough for fourth place. Published: July 31, 2017, 5:26 p.m. Updated: July 31, 2017, 5:54 p.m.